Decatur, Ala. – Good old-fashioned fun is set to return the last week in September to one North Alabama community. Tucked away off of Interstate 65 between Huntsville and Birmingham is the town of Eva that hosts an annual event featuring old-fashioned fun attracting thousands of visitors. Set for September 23-30, 2017, Eva Frontier Days is a week-long celebration offering wholesome family-friendly entertainment where events include a greased pig chase, a frog jumping contest, a parade, antique tractors, a hayride, and much more. Eva Frontier Days has been a tradition in North Alabama for the past 27 years. The Eva Frontier Days Beauty Pageant gets the weeklong celebration going on Saturday, September 23, 10 a.m. at Eva School gymnasium. Entry forms are available at Frost Accounting. Entry fee is $40 per contestant. The deadline for entry is September 14, 2017. For more information, call Amy Weaver at 256.318.6743 or 256.796.7023. A hayride is set for Tuesday, September 26 beginning at the Eva Saddle Club Arena off of Frost Road north of Eva at 6:30 p.m. Cost is $1 per person and includes a free hotdog and drink at the end of the ride. Bethel Methodist Church will host an old-fashioned hymnbook singing on Thursday, September 28 at 7 p.m. Another element of entertainment has been added to the festivities this year and organizers are pleased to announce the Eva Frontier Days Talent Show is set for Friday, September 29 at 6 p.m. in downtown Eva. Entry forms are available at Frost Accounting in Eva. There is a $10 entry fee and cash prizes will be awarded. 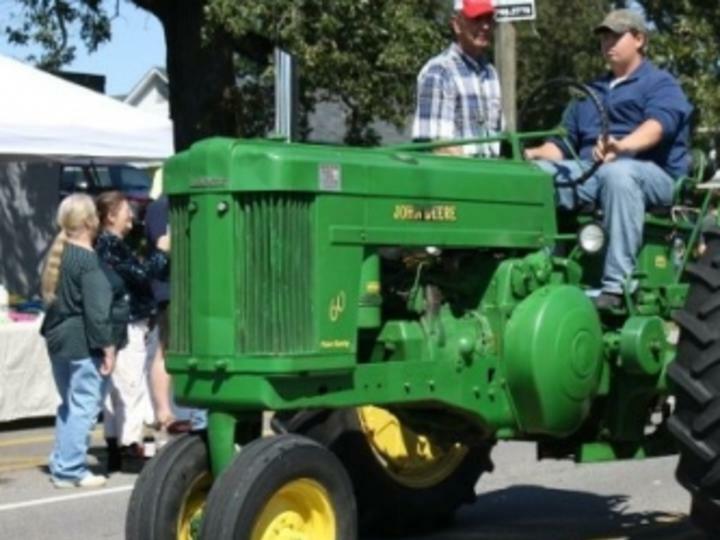 The main event gets underway on Saturday, September 30 beginning at 9 a.m. with an arts and craft show, inflatables, games and other activities for children, food vendors and an antique tractor and car show. Additional activities include a baking contest, a parade at 11 a.m. and live entertainment at 12:30 and 2:00 p.m. featuring the Jeff Whitlow and the Old Barn Band. The day wraps up at the ball fields with the frog jumping contest at 4 p.m. followed by the greased pig chase at 5 p.m.